Nice golden plant pot Guus. The plant pot is in a black metal standard. The pot is available in 2 sizes, nice to place together. 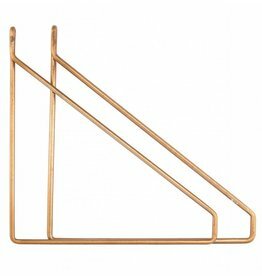 Side table gold colored metal with a glass plate. 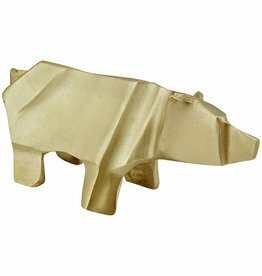 Beautiful matte brass origami polar bear figurine of Liv interior.